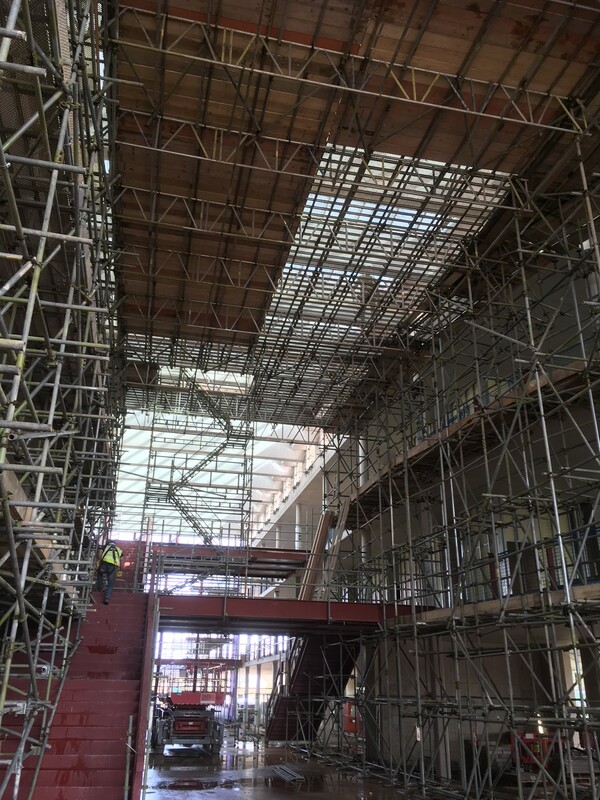 LTC Specialist Scaffolding Ltd are progressing well with the scaffolding package for the construction of the new environmentally friendly buildings for UK Hydrographic’s Head Office in Taunton. Main contractor Bam Construction Ltd who awarded the sub contract package to LTC who are one of their category 1 sub contractors. The project is being managed from LTC’s Cullompton depot.